Carlton Casey Moore, 79, died Sunday, January 5, 2003, in an Abilene hospital. Services will be 10 a.m. Wednesday, January 8, 2003, in North Park Baptist Church, with the Reverend Louis Johnson officiating. Burial will be in Tuscola Cemetery, directed by Fry-Bartlett Funeral Home in Tuscola. Mr. Moore was born February 15, 1923 in Tuscola to Carl H. and Corene Casey Moore. He graduated from Tuscola High School in 1941 and married Murlee Satterwhite October 14, 1945 in Tuscola. 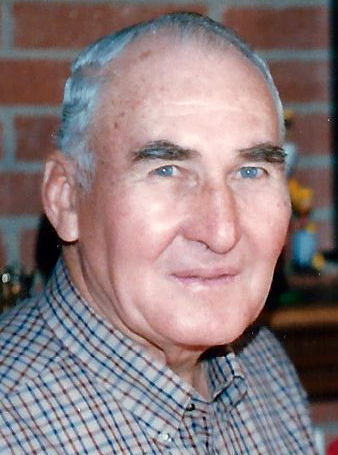 He served in the U.S. Army Air Corps in Canada during WWII. He had farmed northeast of Abilene since 1949. He worked for 22 years for Mrs. Bairds Bakery and was a pumper for Gus Edwards Oil Company. He was a member of North Park Baptist Church. Casey's passions in life were his grandchildren, his farming and deer hunting. 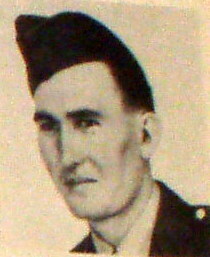 Survivors include his wife, Murlee Moore of Abilene; two daughters, Carolyn Griffith and husband Stanley of Abilene and Jo Anne Hill and husband Orvel of LaGrange; one son, Randall Moore and wife Jan of Maui, Hawaii; four grandsons, Riley Griffith and wife Sherry of Abilene, Casey Griffith and wife Kim of Dallas, James Hill and wife Dana of Abilene, and Brent Hill and wife Michelle of Austin; one granddaughter, Sara Moore of Maui, Hawaii; two great-granddaughters, Abigail Griffith and Kelsey Hill, both of Abilene; one brother, Robert Moore of Weimar; one brother-in-law, Harold Thomas of Killeen; and numerous nieces and nephews. Memorials may be made to North Park Baptist Church, 1525 Anson Avenue, Abilene, TX 79601. The family will receive friends and relatives today 5 to 7 p.m. at North Park Baptist Church. Click here to see Carlton Casey's last Profile entry.